← Watching a Master Sketcher is so ………….. 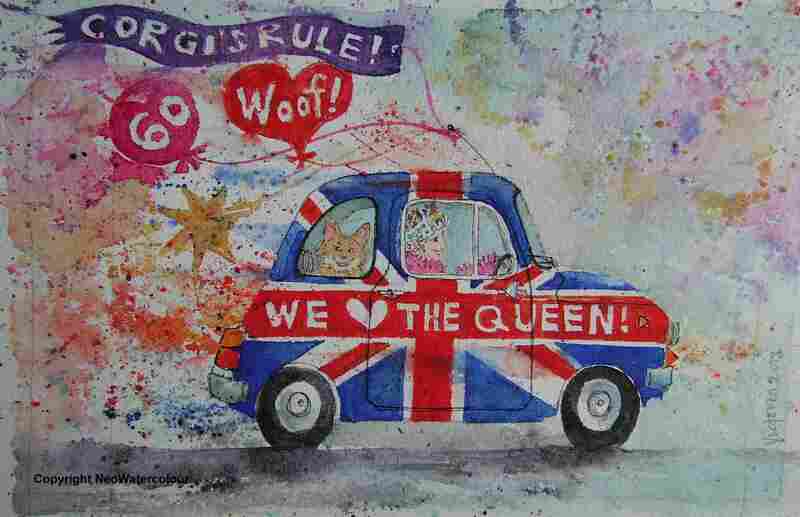 This entry was posted in Fiat 500 's - watercolours, London, Uncategorized and tagged 2012, Bank Holiday, Corgi, Diamond Jubilee, Elizabeth, Fiat 500, Great Britain, Jubilee, London, QE II, Queen, UK, Union Jack, Welsh Corgi. Bookmark the permalink. 1 Response to The BIG………6 – OH………..